iPad 3 to Drop March 7th? According to iMore, Apple is holding a press event on March 7th to announce the latest addition to the iPad line. We can expect the actual product to be released to the public a week after the official announcement. These rumors are believable as Apple has a history of announcing iPads in early March. 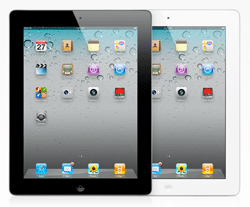 For instance, the iPad 2 was announced on March 2nd and released on March 11th. While unconfirmed, the third iteration of the iPad will most-likely feature a quad-core Apple “A6” processor, 4G LTE connectivity as well a Retina display with a resolution of 2048×1536. To view our full rumor roundup, click here.